-First observe which herbs you use most often. Make a list of dishes you regularly make, like grilled chicken or Mediterranean salads, and figure out how you can enhance these dishes with herbs like dill, parsley and basil. Whatever sounds good to you, add it to your list! -Now find the perfect spot in your yard, one that will get at least 6 hours of sunlight a day. Then, figure out how much space you will need for each herb according to the back of the seed package. You may have and narrow down your list of herbs depending on the amount of space you have for your garden. -As we posted in the first Herban Gardening installment, all soil will be different but there are some requirements that every herb needs. Select a site with well draining soil, or if that is not a possibility, improve the soil you have with a compost mix or peat moss. Dig into and churn up all the packed soil 2 feet down in your gardening area. Then, add compost and mix in thoroughly. -Now, begin planting but only after you are sure the last frost has come and gone and judging by the incredible sunshine we have gotten today, it most definitely seems like that is the case! Read the back of your seed packets for instructions on how to plant the various herbs you've chosen, including how much room to leave between each plant. -Then, dig little holes (again, refer to the packet to see what depth each herb requires the seed to be planted at), fill them with your seeds and cover with soil. -Be sure to water your new little seeds every other day and enjoy watching them grow into seedlings and then, into full grown herbs! -Lastly, I recommend researching each herb you've chosen to grow so you can be better prepared on how to care for them as best you can!! 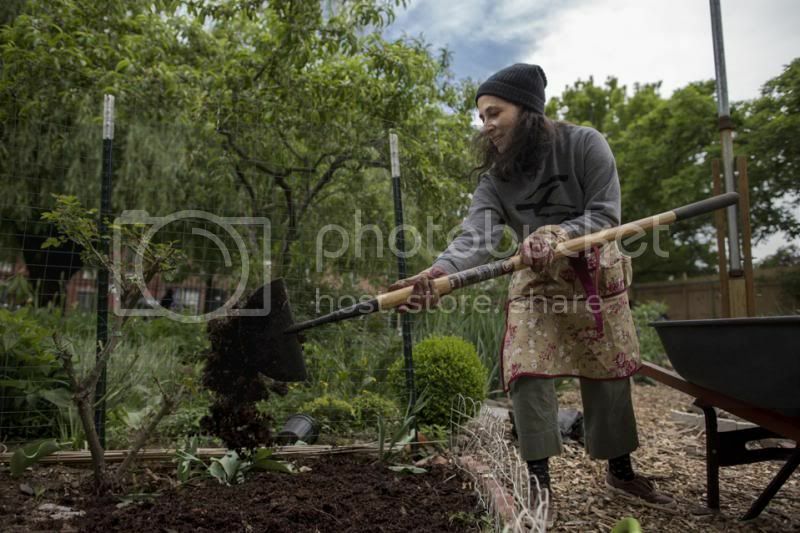 This is part three of a series on planting and growing herbs in NYC! Check back for the next installment on how to care for your growing herbs! !